There aren’t many players in the Premier League who are as decorated as James Milner and the Englishman may have cemented himself as a legend with his latest achievement. Fans wondered why Milner walked straight off the pitch after his second foul on Wilfried Zaha yesterday, but it all makes sense now. The makeshift right-back knew his former teacher and coach would send him off for his actions. According to the Liverpool Echo, Jonathan Moss was Milner’s teacher and coach at the Westbrook Primary School in Horsforth, Yorkshire. 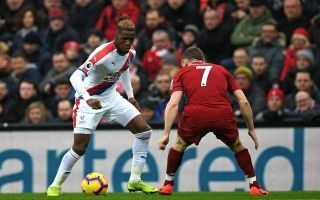 Yesterday was a day to forget for Milner as tricky winger Wilfried Zaha tormented him for the majority of the game, Palace performed extremely well against the league leaders and they were unfortunate to lose 4-3. Liverpool may not miss Milner if Trent Alexander-Arnold returns for their clash against Leicester in ten days time, if not, then Jurgen Klopp may see midfield general Fabinho as an option at right-back.